Doctors and nurses will be able to reduce unnecessary patient tests and improve safety through better working between hospitals and GPs and social care in London. New partnerships will be introduced giving health and care staff better and faster access to vital information about the person in their care, so they can determine the right action as quickly as possible, whether that is urgent tests or a referral to a specialist. 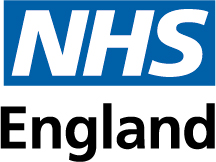 Today NHS England has announced that three areas, covering 14 million people, have been chosen to become ‘Local Health and Care Record Exemplars’ (LHCRE). London’s Chief Digital Officer, Theo Blackwell, said: “Through Local Health and Care Record Exemplars we are raising the bar for how the NHS can improve care through technology. “From emergency treatment to end of life care, this extra investment will transform how health and care data is shared between councils and the NHS across London. As well, it will save lives by providing health and care professionals timely access to relevant patient records, supporting effective clinical decision making. Luke Readman, Chief Information Officer for the East London Health & Care Partnership and the Senior Responsible Officer for One London said: “We are delighted to have been chosen to deliver this profound change to how information is shared to improve experience and outcomes in health and social care. “The unique One London partnership was formed around an exciting and ambitious vision of better public services offering Londoners, across all of our vibrant and diverse communities, much greater control over their own health and care, knowing that when needed, they can consistently access the right support in the right place at the right time. Dr Simon Eccles, chief clinical information officer for Health and Care, said: “Sharing information for people’s individual care can be lifesaving by quickly providing staff with the details they need, from patient histories to previous test results and care plans. Each LHCRE is made up of either one or multiple Sustainability Transformation Partnerships (STPs). On 25 May, new General Data Protection Regulation (GDPR) will come into force in the UK, giving the public more control over how their personal information is used. The Government will also introduce a new national data opt-out on 25 May, which will offer people a choice on how their confidential patient information is used for research and planning. The NHS has a long history of scientific breakthroughs and providing patient’s with access to leading research trials and the latest treatments. In the future the NHS and Government will seek to establish Digital Innovation Hubs to provide a safe, controlled and secure environment for research that can bring patients benefits from scientific breakthroughs much faster. Local Health and Care Record Exemplars will only ever use identifiable patient information for individual care. Instead anonymised information that doesn’t identify individuals, in line with the Information Commissioner’s Office rules, will be used by Local Health and Care Record Exemplars to plan effectively for future demand.